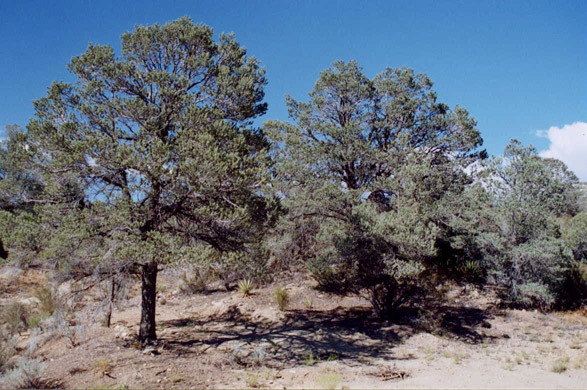 Mount Laguna, San Diego Co. 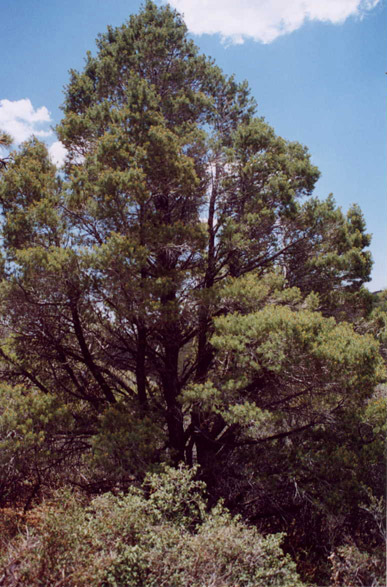 The Pinyon Pines growing at higher elevations in the Sierra San Pedro Martir, in Baja California have needles in bundles of 5. 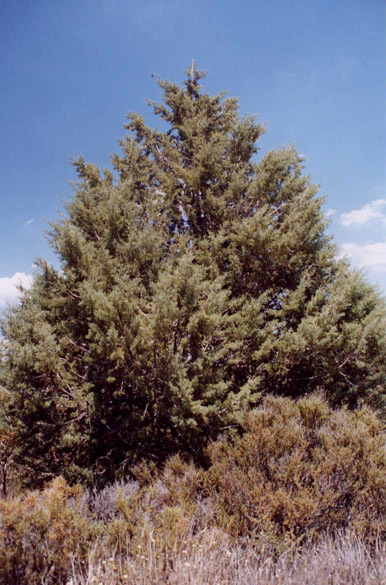 The lower elevation Pinyons have needles in bundles of 3-5, but mostly in groups of 4. 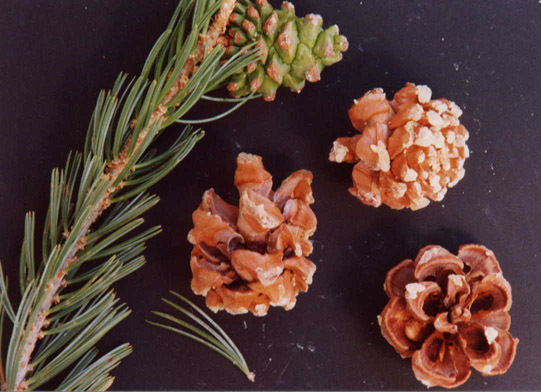 The higher elevation Pinyons also have larger cones than the 4 needled Pinyons of the lower elevations which may be an hybrid between Pinus juarezensis and Pinus monophylla according to Lanner. 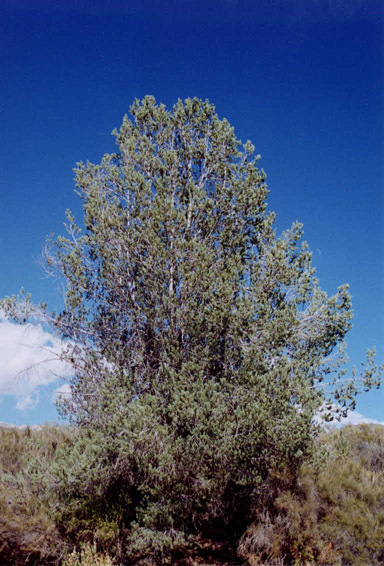 Near Guatay, San Diego Co.. 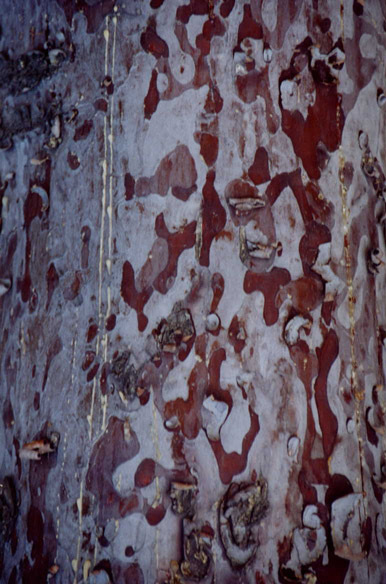 The bark of Cupressus forbesii is dark red and quite beautiful. 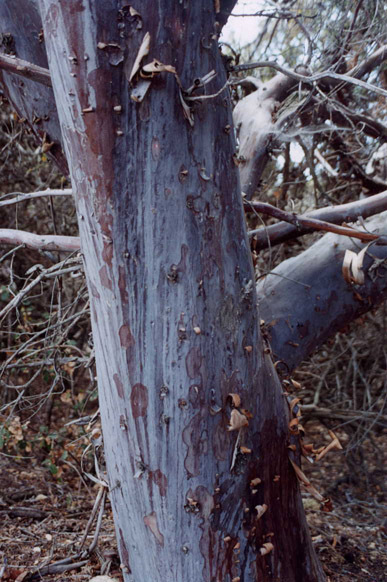 These trees where apparently planted by someone and are now reproducing. 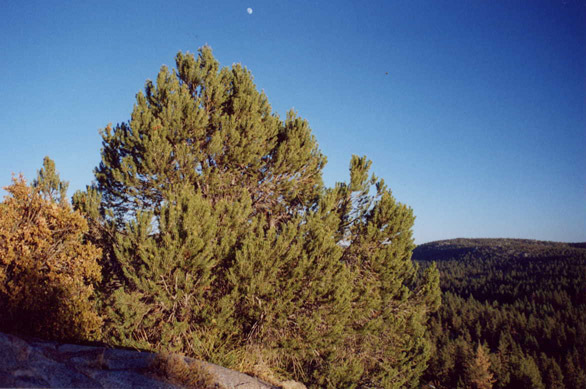 They are only about 10 miles from the native grove on Cuyamaca Peak to the Northwest, growing at a similar elevation and habitat as the native trees. 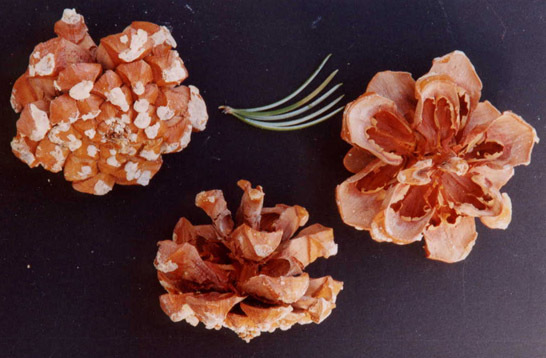 I was not able to find out who planted them, but they are most definitely Cupressus arizonica stephensonii, as they are identical to the ones I observed on Cuyamaca Peak, and they were giving off pollen in July, which would exclude nearly all other Cypress trees. 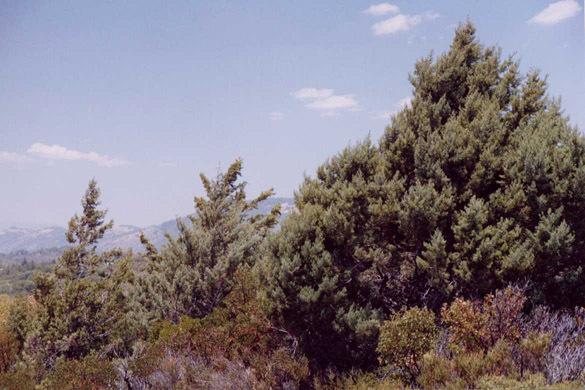 For those who are not able to climb several hours up Cuyamaca Peak, these trees are a good alternative for viewing them in a setting similar to their native stand. Inspiration Point. Hwy 79. 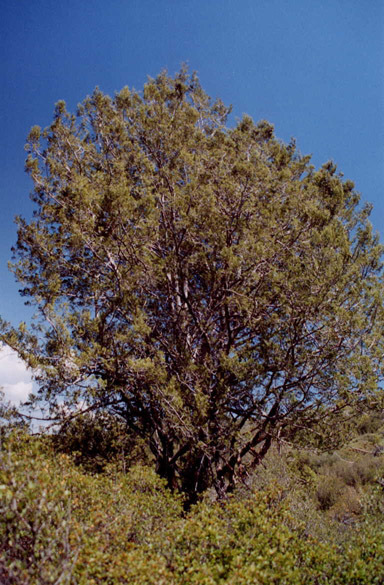 5 miles North of Julian, San Diego Co. 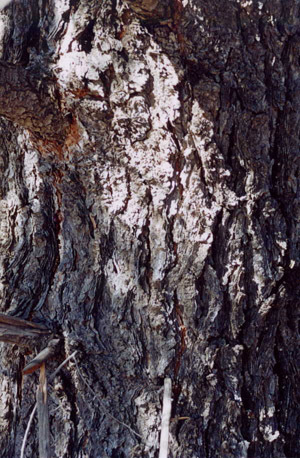 The bark of Cupressus arizonica stephensonii is quite distinct from Cupressus arizonica arizonica in its grey color. 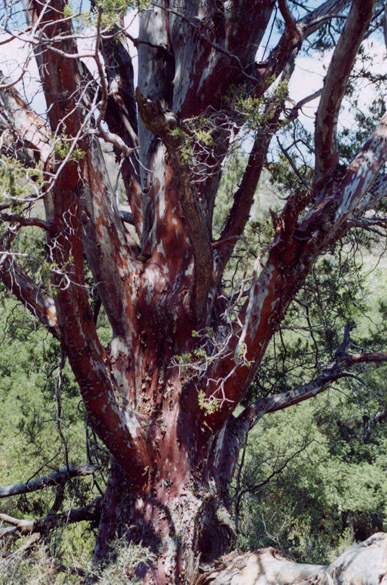 Fom tree at Inspiration Point, south of Julian, San Diego Co.